Ruth Bader Ginsburg became a Supreme Court Justice in 1993, but her popularity has exploded over the last couple of years as she has been adopted as a modern feminist icon. An octogenarian who has proven that disagreeing does not make one disagreeable, Ginsburg is well-known for her pithy observations as well as her strongly argued dissents. 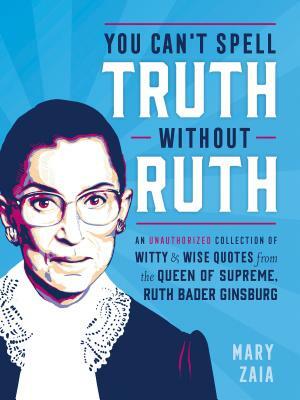 Beloved by many – including her ideological opposition, former Supreme Court Justice Antonin Scalia, who was her dear friend – Ginsburg’s wisdom has never been more relevant or more important to American democracy.